Sure Hunter Morris may get the National Attention. Justin Fradejas might turn heads with his impressive hitting streak. Trent Mummey could get Player of the Week honors. Yet, there is one guy going unnoticed and personally, I think he is the biggest reason Auburn has seemingly turned a corner. The past 4 games for Auburn: UK game 3, Samford midweek, and the Arkansas series, were probably the biggest this season for Auburn. Especially the final UK game. 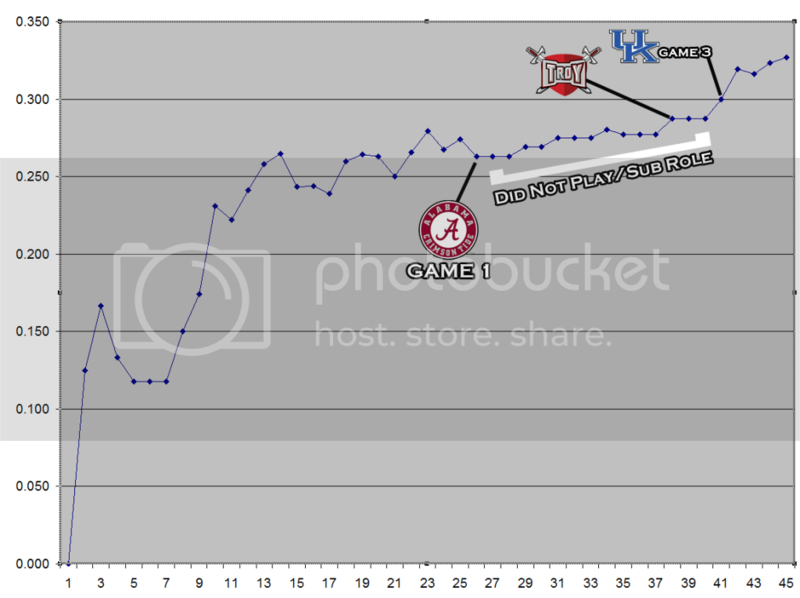 Auburn managed to turn a near disaster into a walk off and carried some of that momentum into the Arkansas series. But then a light switch turned on. Maybe the diminished role had a positive effect. You could see some signs of it in the Troy game where he busted out with a 2 for 4 night. Even in a couple limited sub roles he managed to get a hit. However, nothing could account for what happened in the UK finale. I was sitting down the right field line and Auburn was a bit listless. A bit listless until Ryan Jenkins just sent a screamer over the RF wall. You could hear a collective gasp from everyone. A collective "where did that come from?" Yet it wasn't a one game fluke. 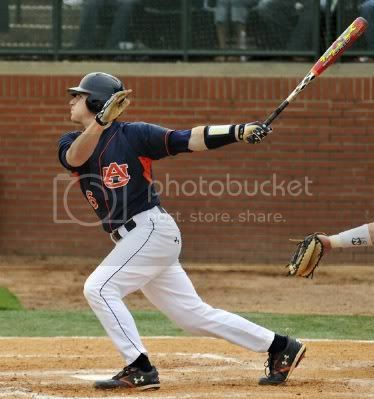 Jenks followed it up with a 3 for 4 night against Samford and his two biggest games, the two Auburn wins over Arkansas. All told, Ryan Jenkins is hitting a solid .500 over his last 6 starts. That's .500 with 9 RBI and 3 HR. Effectively tripling his HR total on the year. 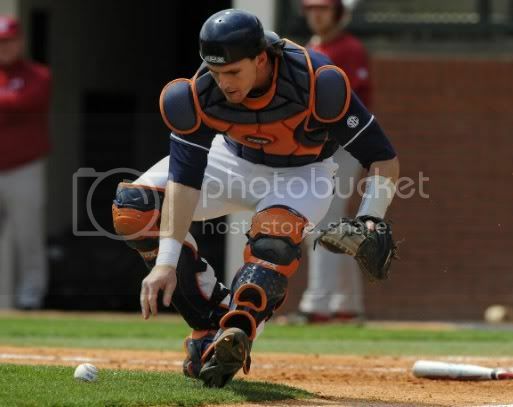 The Role of Ryan has been one of a defensive catcher. That should be understood. His athleticism behind the plate has been a game saver, especially when catching guys like Austin Hubbbard and Michael Hurst who tend to go wild from time to time. More so with Hubbard who will skip a ball every now and then when his slider dips too low. Yet, the rebirth of Ryan Jenkins has lead to 3 huge wins for Auburn. If he can keep his hot streak going then it just adds that much more to the Auburn lineup.